The Backlot Express is near the entrance to the Star Tours attraction at Hollywood Studios. The restaurant is decorated with all kinds of movie props and film equipment. The menu includes burgers, hot dogs, the Dark Side Chicken and Waffles plate, the Galactic Chicken Salad and different Star Wars-inspired cupcakes for dessert. Everyone can eat for less than $15, and kids eat for even less. 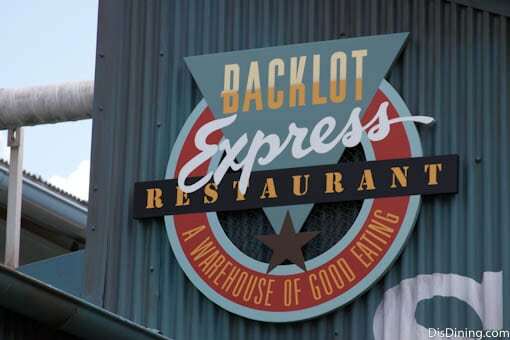 The Backlot Express is usually busiest during the middle of the day, and later in the evening, the restaurant is less crowded.